Alright, we’re actually gonna go somewhere in a circulator this time. 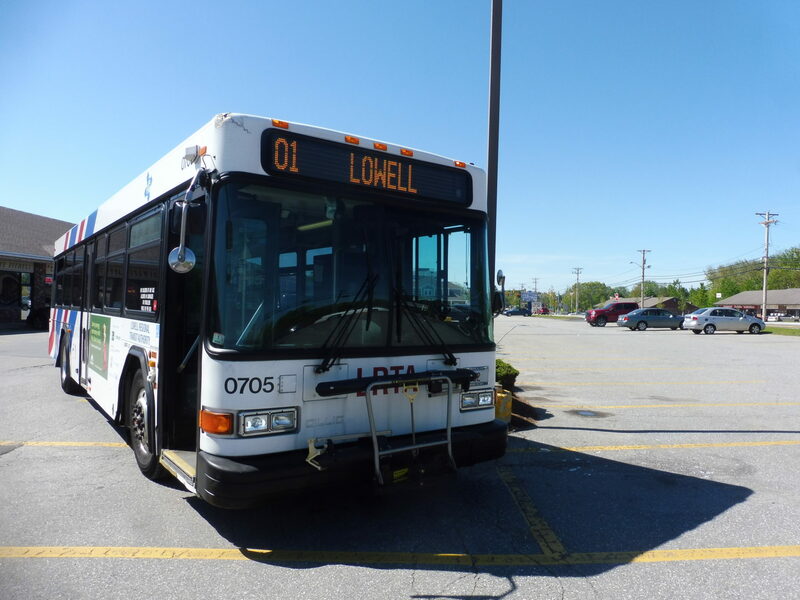 Also, you’d better have extra space in your wallets (or on your CharlieCards), because the 1 leaves Lowell, requiring the “suburban” fare. Got it? Alright, let’s go. Alas, it’s “NOT IN SERVICE” because I couldn’t get a good one when it was actually signed as the route. As usual, we headed up Thorndike Street, which became Dutton Street as we entered downtown. After curving onto Arcand Drive, we turned onto Father Morissette Boulevard, passing the Lowell High School and its cool bridges over the canal that splits it in two. 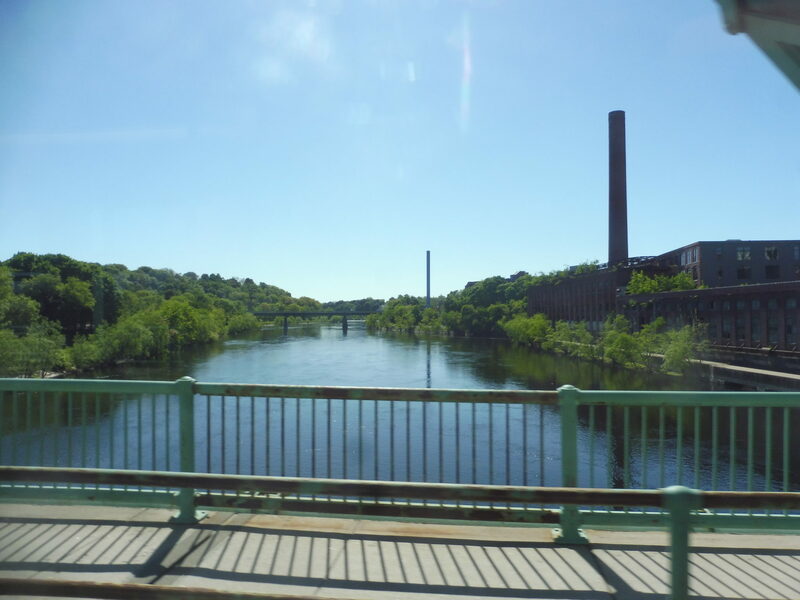 Our next turn was a left onto Bridge Street, which did indeed become a bridge over the Merrimack River. Ah, I love this river. Bridge Street was a major thoroughfare with businesses, but we took a right onto the smaller residential 3rd Street. The houses very quickly got less dense as we turned onto Beech Street, then 10th Street, then Beacon Street, making our way up a hill (Christian Hill?) as we went. The route’s loop began at the intersection with Methuen Street, where the outbound route stays on Beacon and runs past a park. Ah, we’re not doing sidewalks now, I see. We hooked a sharp left onto Willard Street, then a hard right onto Bridge Street (once again). We performed a pretty unnecessary deviation into Sunrise Plaza, but at least it didn’t take too long. Right after the plaza, we entered Dracut and turned onto Arlington Street, going by the town clerk and library. 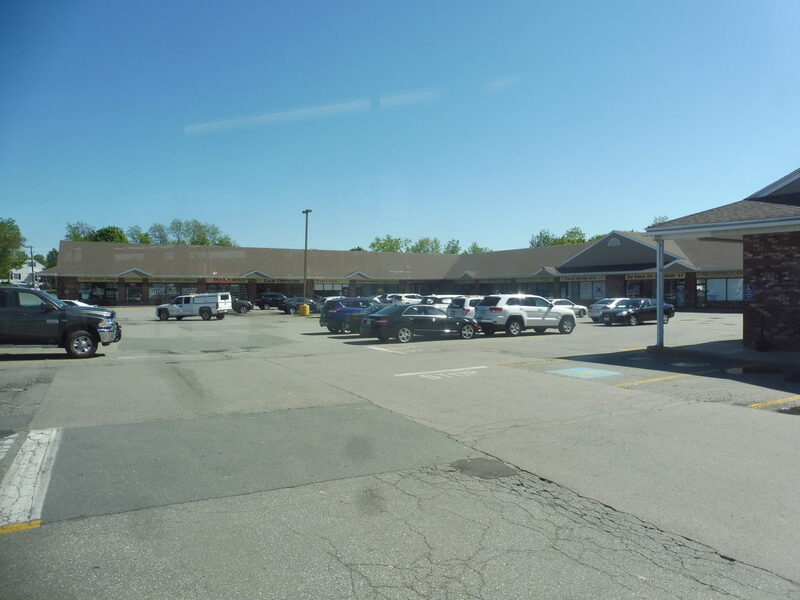 Finally, we turned onto Willard Street (once again), which took us to the last stop at Village Plaza. Well, as far as character goes, it’s…trying its best? I figured I’d document the other side of the loop too, although it’s a lot less involved. 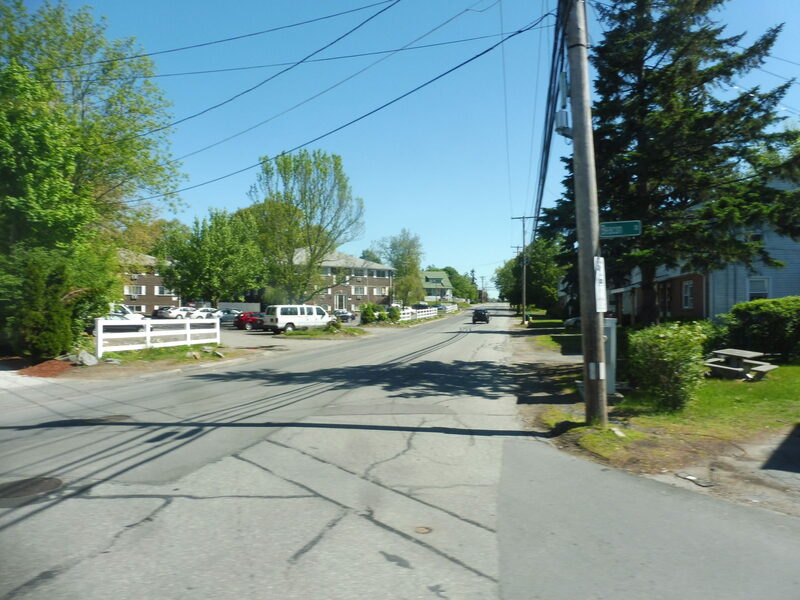 We headed the other way down Willard Street, staying on it this time – it passed a bit of forest, some houses, and a few apartment developments. We then turned onto Humphrey Street, a narrow street lined with houses, and once that ended, we swung onto Methuen Street and then Beacon Street. The rest of the trip was the same as going out. Taking a layover at Village Plaza. Ridership: The ridership is low, at 149 riders per weekday, but the 1 is slightly more productive than the LRTA’s system average, probably because it’s on the shorter side. Meanwhile, when the route combines with the 8 on Saturdays, ridership drops to 119 riders, but the productivity increases quite a lot. Pros: The 1 seems to get decent ridership for such a small route with relatively suburban characteristics. 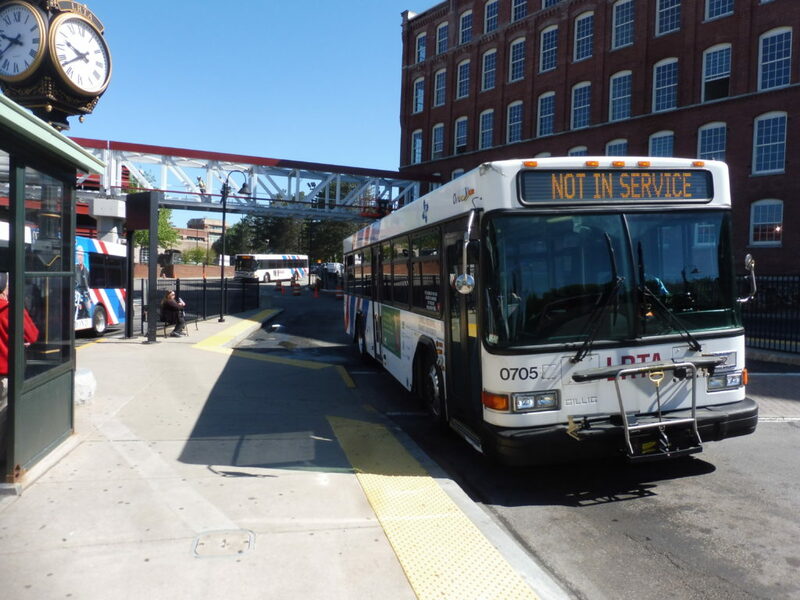 The schedule is reasonable for the ridership, too, with service once an hour. I also like the combined route on Saturdays – it’s not too crazy for LRTA standards, and the loop seems to be better for productivity than on weekdays! Cons: It just doesn’t have all that much to call its own. The loop at the end seems unnecessary and confusing, and that’s basically all the 1 serves uniquely. It could be worth looking into a full-time combination between the 1 and the 8 with more frequent service. Nearby and Noteworthy: Is there anything of note in the two plazas served by the 1? Didn’t seem like it. The 1 just…does its thing. It’s decently productive, and it just circles around getting mediocre ridership. A combination with the 8 could provide half-hourly weekday service, which would be very nice, but the question is whether or not the loop would be too indirect. It works for low-ridership Saturdays, but it would be a pain for someone going to a far end of the loop.